The Life Awareness Yoga retreat in Portugal is a retreat to rediscover, reconnect and recreate your life. Learn to maintain mental and physical well being in the beautiful National Park Costa Vicentina. You will train mind & body to develop health, happiness and a deeper connection with your true Self. The Yoga sessions are combined with deepening theory and meditation training to regain your focus and consciousness of the mind. Training body and mind to develop a healthy and happy life by yoga, meditation and being in pure nature. More than a Yoga holiday in Portugal. 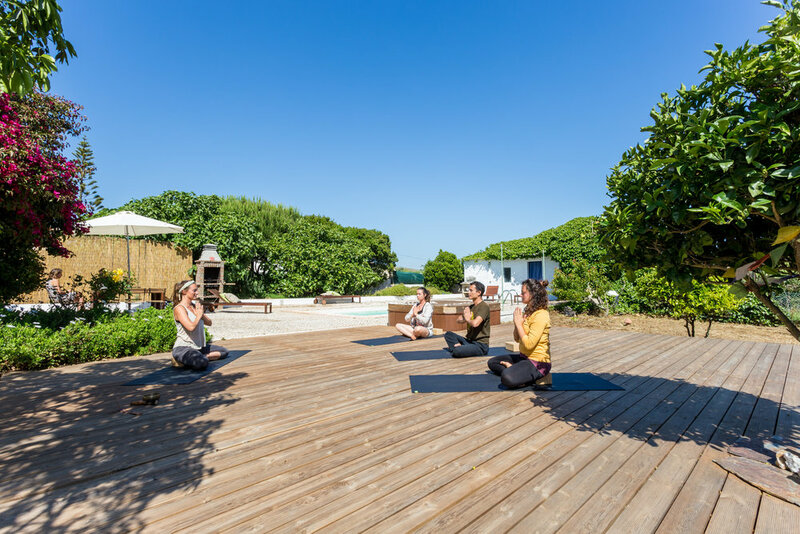 A yoga retreat to relax and reconnect in the beautiful SW tip of Europe. Dynamic morning yoga and relaxing evening yoga classes with guidance to give you a deeper understanding of mind and meditation. Quiet time in the morning and evening, and heaps of time during the day to do whatever you feel like. Go on a hike in this wonderful national park in Portugal, take a surf lesson or read your book next to the pool in the shade of an orange tree. A week to enjoy delicious healthy food, reconnect with your true self and completely rest your body and mind, surrounded by green hills, steep cliffs and white empty beaches. *Program may vary depending on season and weather conditions. All yummy healthy food, fresh from the farmers' market and mostly organic. Diana is 400hr Yoga Alliance Certified teacher with a focus on Hatha Yoga, Yin Yoga, Pranayama and Meditation.